Sporting Kansas City has agreed to loan forward Dom Dwyer to Orlando City SC for the USL PRO Championship, the club announced on Wednesday. Dwyer joins Jon Kempin and Christian Duke on loan to Sporting Kansas City's official USL PRO affiliate and returns to the Lions after scoring a USL PRO record 15 goals in 13 games during the USL PRO regular season. "Dom spent a good portion of the year in Orlando," Sporting KC Manager Peter Vermes said. "We're very respectful of our partnership with them and we feel it's important that we provide them every opportunity out of the partnership that we agreed to. We wish them all the success and I'm sure Dom will be a great help to them." "I'm excited to go, but disappointed to miss the Sporting KC game on Saturday," Dwyer said. "It's the championship game and I started my season with Orlando so I'm delighted to have the opportunity to help them out. Hopefully I can make a difference and bring back a championship." Dwyer, 22, was one of four Sporting Kansas City players loaned to Orlando City SC in March. He scored 18 goals in all competition for the Lions before returning to Sporting KC in June and was named to the USL PRO All-League First Team on Tuesday. The second-year professional, selected in the 2012 MLS SuperDraft as a Generation adidas signing out of the University of South Florida, has appeared in 15 games in all competition with two goals and one assist in his Sporting KC career. Dwyer made his first MLS start and earned his first MLS assist on Saturday in the team's 2-1 victory over the Colorado Rapids at Sporting Park. "Obviously we are delighted to have him back," said Orlando City Head Coach Adrian Heath. "He's a great guy and did a fantastic job for us on the football field. It's a great gesture from Sporting KC to release him for the final, and we hope he can produce the same goal-scoring efforts like he usually does on Saturday." The Lions -- USL PRO champions in 2011 -- host the Charlotte Eagles at 6:30 p.m. CT on Saturday in the 2013 USL PRO Championship at Fifth Third Bank Field at the Florida Citrus Bowl. The match will be streamed live online at USLnation.com. 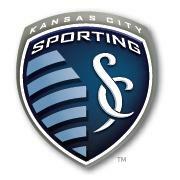 All three Sporting KC players on loan to Orlando City SC will return to the club following Saturday's match.